The Broadway musical by Steve Martin and Edie Brickell. . 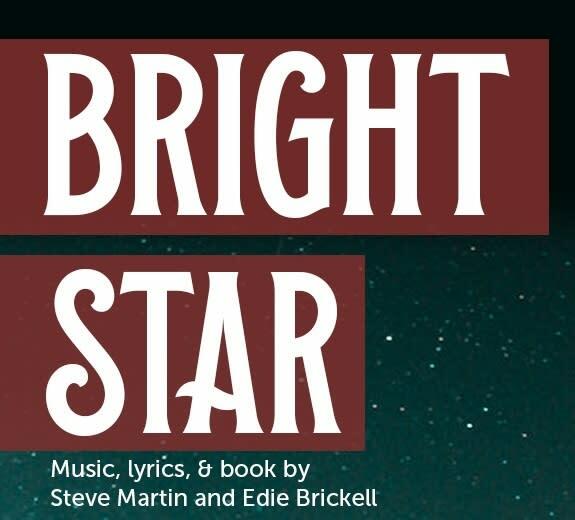 Inspired by a real event, BRIGHT STAR tells a sweeping tale of love and redemption set against the rich backdrop of the American South in the 1920s and ‘40s. The story follows young writer Billy Cane, recently returned from World War II, and Alice Murphy, the editor who takes a chance on him. As Billy mines his childhood home for engaging stories, Alice sets out to explore the pain and mystery of her own small-town past. The overlapping secrets they uncover lead them a startling and heart-warming connection. Thursdays through Saturdays at 8:00 pm and Sundays at 2:00 pm. 'L' Red, Brown, Purple to Fullerton Buses - #74 Fullerton to Lincoln Ave. Address: 2257 N. Lincoln Ave.